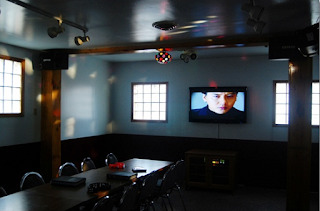 PennsylvAsia: Karaoke Night with Korean Language Study Group in Pittsburgh, November 10. Karaoke Night with Korean Language Study Group in Pittsburgh, November 10. The Korean Language Study Group in Pittsburgh will meet for karaoke at Korea Garden on November 10. If you are interested in attending, you will need to RSVP via the group's Meetup.com page. We are going to Korea garden and they have about 20,000 Korean songs. And they have more than 2,000 English songs. Also they have Chinese songs, Japanese songs and other songs. Please be free to sing any songs in any language if you like. If the number of RSVP is less than 6 until 11/3, I'll cancel this event. And the cost for the Karaoke is $35 per hour per room. So, we will divide this cost by a number of people who are attending. Before starting Karaoke night, we'll have some Korean food for our dinner there. Korea Garden, on Semple Street in Oakland, has a couple of rooms above its restaurant for karaoke, or noraebang in Korean. They look more like conference rooms, and the second floor could use a contractor or three, but the place gets decent reviews because it has a respectable selection of Korean, Japanese, and English songs. Conference room Singing room in Korea Garden.